Some people survived, not simply because they were lucky, but because they were prepared. Japan’s earthquake and tsunami was shocking and out of the blue, but some people successfully got themselves and their family saved during the disaster because they had prepared for the emergency knowledge. It is always good to get prepared… … We need to know all about emergency survival knowledge and we need to know them right now. 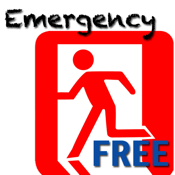 Read this complete pack of Emergency Survival Handbook, and get yourself and your family prepared. This handbook covers topics from general daily preparation to cases in earthquake, bad climate, fire, floods, heat, landslides, tsunamis, volcanoes, wildfires, windstorm, bomb threats, carbon monoxide, hazardous, public health emergencies, terrorism, and Weapons of Mass Destruction .